Carpet Cleaning Putney, Wandsworth, Wimbledon, Putney. | Straker Cleaning. Carpets are generally cleaned using the HWE method, ( hot water extraction ) as this is the most thorough way to deep clean and rinse away soil. Our up to date chemicals, methods and machines mean carpets dry in around 2 hours. We prefer to use microsplitters, which are detergent and bleach free solutions, including M Power (see products). We also offer the LM method, ( low moisture ) using the Charly pad system. This is suitable for carpeting that cannot be wet cleaned due to condition, fitting or type. LM cleaning usually leaves carpeting dry in around 30 minutes and is the perfect maintenance method. 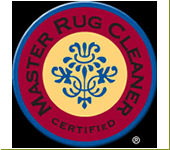 Upholstery can be hand cleaned, HWE or LM cleaned using the extraction method. Using the DriMaster handtool leaves your upholstery 50% drier than conventional handtools and usable within the hour. Loose covers are removed to our workshop for dry cleaning and returned then steam dressed.